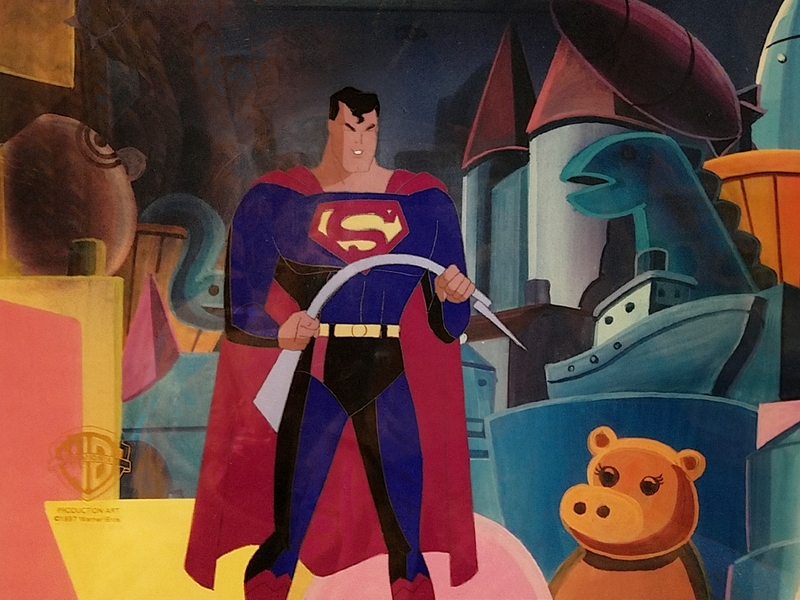 The Toyman Superman The Animated Series Original Production Cel is original production art used in the making of the Superman television series. 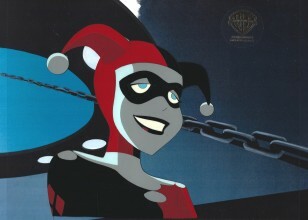 Warner Brothers Animation produced this memorable and classic series that aired from 1996 to 2000. 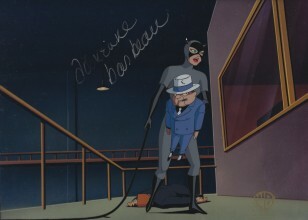 This production cel was used in Episode 4 of Season 1, "Fun and Games", where smiley-faced villain Toyman first appears. This particular frame depicts when Superman bends a toy rifle while speaking with his adversary. This piece is framed in a green stone matte and a matching green frame. 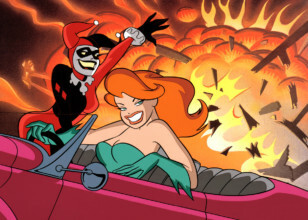 "Fun and Games" is the fourth episode of the first season of Superman: The Animated Series, and the fourth of the overall series. 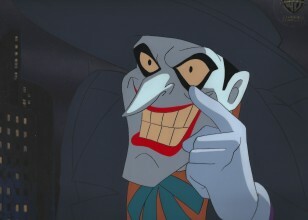 It depicts the first appearance of the Toyman who has a fixation on destroying Bruno Mannheim through the use of deadly toys.